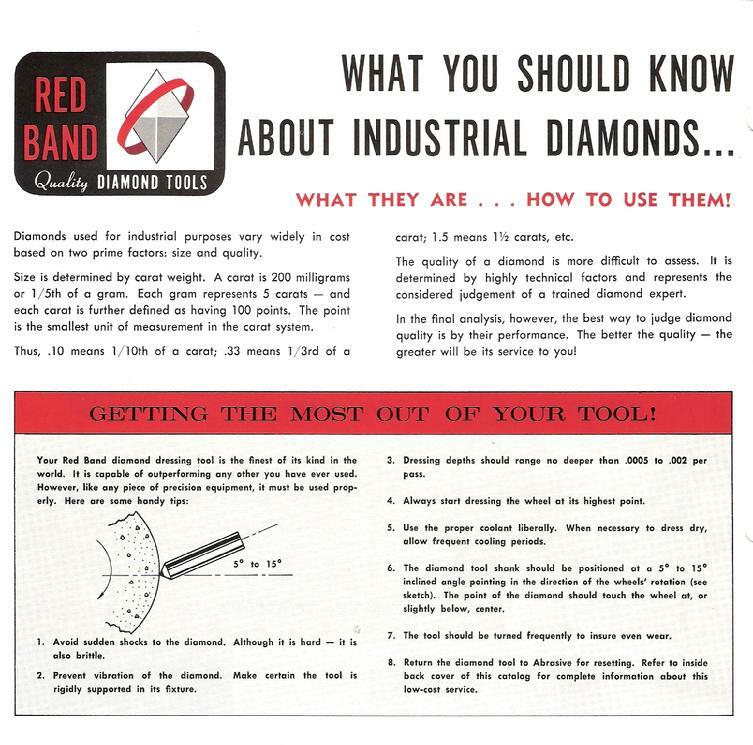 Since 1935 Abrasive Diamond Tool Company has been manufacturing industrial diamond tooling. Our roots are in the automobile industry. Over the past 75 years we have expanded into heavy equipment and diesel engine manufacturing, woodworking, gear manufacturing as well as the aircraft industry. Our products began with natural stone diamond dressing tools and have progressed to synthetic stone dressing tools, and a wide variety of PCD, and CBN tip tooling. Our mission is to manufacture “cost effective tooling” for our customers and then provide world class service after the sale.